I'm sorry that it's taken me this long to get in touch to tell you about my experience in the US. I had intended to contact you when I got back, then Christmas happened etc! Anyway I wanted to let you know how it had all gone. Although I was pretty scared about what I was undertaking, I somehow pulled it off... With the skills that I'd learned from your course and the help of in-house engineers at each venue, I was able to get a good sound each night and even got it pretty consistent, which after all is the reason a band has a touring engineer. I think I just had the one pretty rough experience... It was in New York, after three shows in the same club in Philadelphia where I'd become quite comfortable on the Midas Pro2. I found myself in front of a Soundcraft Vi1 and suddenly felt quite out of my depth... I struggled with managing the vocals and couldn't figure out how to get them above the rest of the band. It wasn't horrific but it didn't sound great . 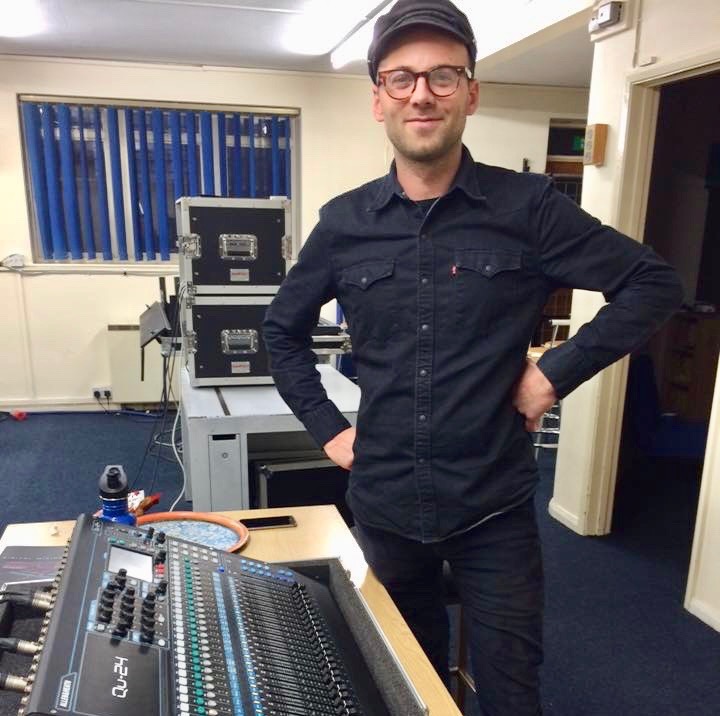 The tour continued and I became more and more confident when turning up to a new venue/mixing desk. I've since run into many different digital and analog desks and have been able to apply what I've learnt in each scenario. Since then, I have toured with another American band for their European tour throughout February and I have just got back from my second tour of the US with the same band I worked with out there before. Which included a week at SXSW, in Austin TX. Now that was a challenge! We were doing two shows per day and sometimes with 15min changeovers. It was a great experience for me. We are now starting the process of obtaining an official work visa, for me to work legitimately in the USA. Quite exciting! I now feel like I'm learning something new every night and have taken tips from many in-house engineers along the way. I now feel quite confident when sound checking and mixing the bands. For this, I must thank you, for providing me with the skills and confidence to cross the atlantic and throw myself into this wild profession. I am, of course, by no means a pro but I love mixing and love learning new tricks. I hope that all is going well at Base Sound.